KDP Free Kindle eBook Promotion is useful, so use it. Anyone who is enrolled in Amazon Kindle Direct Publishing knows about the five KDP free ebook promotion days available every ninety days for each book if you are enrolled in KDP Select. What some may not know is that it has now become another little industry in itself, as sites pop up all over the internet, listing and promoting these free ebook offerings. When KDP Select first started, it was enough to book your free days and then promote it yourself via your own social networks. Now, however, there are so many free ebooks on offer every day it’s getting more and more difficult to get noticed. To get good value now from free ebook promotions, you really need to get your book listed on as many ‘free Kindle ebook’ sites as possible to get the traffic needed to give away enough copies to move your book up the rankings. This is the whole point of course. Getting your book up the Amazon rankings where it can be noticed by book buyers after the promotion has finished. I gather that this has now been called ‘the bounce’. I have tried a number of ways of using the free days for my own books. From simply booking a couple of days with no promotion at all, to carefully planned and promoted offerings. I have also experimented with different days of the week and of the month. In general, promotions in the first few days of a month are worth avoiding, as are Fridays and Mondays. Another element I have noticed through my trial and errors is that luck can also have a hand in how successful a promotion is. I’ve had carefully planned promotions flop, while ones with almost no promotion have skyrocketed. No idea at all why. But in general, better-promoted ones have fared far better. Without a doubt, my most successful promotions have been when I have planned weeks ahead and notified as many ‘free ebook’ listing sites as possible and then be picked up by some of the bigger sites. As they all tend to pick and choose what they will promote, I would suggest contacting at least fifteen sites, and even more, if you’re really keen. It is also important to have at least eight to ten reviews as very few will list books with fewer reviews than this. Another very important element is in having your book in very selective categories on Kindle. If your book is under the category of Fiction-Romance, your book will be competing against many thousands of other titles to get a decent ranking. But if it is listed under Fiction-Romance-Romantic Suspense, there are far fewer titles in this category so it’s much easier to climb to a decent ranking and then profit from ‘the bounce’ after the promotion has finished. 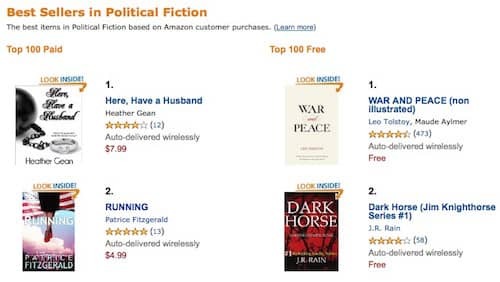 So good luck with your next KDP free ebook promotion, and hopefully you get the desired ‘bounce’ to sell a squillion copies. More reading: What Are The Benefits Of Amazon Exclusive Distribution On KDP? Thanks for sharing your experiences with using free ebooks to promote actual sales through KDP: they will help me with my approaching book release. 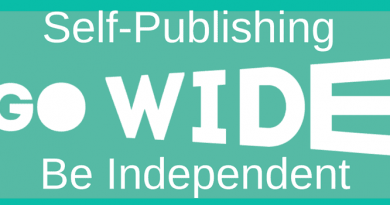 Thanks again for all you do to help us indies! Agree with previous comment…..what is your experience of the free and paid promotion sites? Seems like they are over saturated to me…..do people really scan the daily free offer emails and feeds? Free Kindle ebooks used to work well, say five years ago, but now, there’s little value unless you plan a heavy promo campaign to support it. However, perma-free series starters can still be useful. Then of course, there is Bookbub, but it’s an awfully expensive way to give away ebooks..
Wow! this was a fantastic article. I am so happy to find another avenue to promote my books. Thank you so much for sharing. When the 5 days of the free promotional period is up, should we take the books off these sites?